During his collaborative wartime work with John Posford on the sea forts and floating dry docks, Guy Maunsell had gained a great deal of respect for the young man from Suffolk. Posford, one of three children, graduated in engineering with honours from Cambridge University in 1936 and worked for Sir Alexander Gibb & Partners until 1941, when Gibb sent him to work with Maunsell. He joined Maunsell in partnership (G.A. Maunsell & Partner), aged 30, in April 1944 and after the war worked from the firm’s office in Westminster. The Westminster premises was owned by Gibb, and Maunsell’s symbiotic relationship with that firm continued as it had before the war with up to 70 staff members seconded from Gibb to work on Maunsell projects. These were mainly industrial, including oil refineries for Shell and factories for Fisons Ltd and Associated Ethyl Company Ltd.
To cope with a growing workload, in 1946 Maunsell offered a partnership to Richard Pavry (1914-80), who was senior engineer for the Shell refinery job. The firm was then G.A. Maunsell & Partners, though it was renamed Maunsell, Posford & Pavry in 1949. Pavry came from a civil engineering background; his father Faredun Cursetji Pavry (1877-1943) was Chief Engineer of the Indian North Western Railway and President of the Punjab Engineering Congress 1930-31. Faredun sent his son to the Royal Indian Engineering College (part of Thomason College at Roorkee, India) and then to City & Guilds College (part of Imperial College of Science & Technology) to study engineering. Pavry joined Dorman Long & Co in 1930 as an assistant engineer in the bridge design department, a role that included work on Sydney Harbour Bridge (1932). Although Maunsell and Posford both worked for Dorman Long too during the 1930s, there is no evidence to suggest that the three men met at this time. During World War II, Pavry was commissioned in the Royal Engineers where he rose to the rank of Colonel and worked in the War Office, involved with the design of the Mulberry Harbours and related maritime works. The three partners were well suited and the company was expanding, with Maunsell keen to assemble a team of engineers who were both talented and practical — and, ideally, who shared his opinions. Among others, Len Ramage joined the firm in 1949, John Read in 1951 and Peter Frank Stott (1927-93) a little later. By the late 1940s it had 60 members of staff. However, there is little recorded of the projects with which they were involved — though schemes were proposed worldwide. One of the men to have a lasting influence on both Maunsell and the company was John Walter Baxter (1917-2003), whom Maunsell first met in 1948 while designing refineries for Shell. Baxter left Westminster City school aged 16 "to get on and do practical things", attained a BSc in engineering from City & Guilds College three years later, joined the Trussed Concrete Steel Company (1936-41) and then moved to Shell. 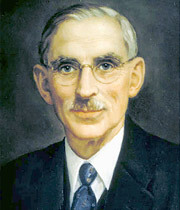 He joined Maunsell, Posford & Pavry as a partner in 1952, and would become President of the Institution of Civil Engineers, 1976-7. Baxter admired Maunsell, praising his courage and brilliance for trying out new ideas and coming up with the right solutions through having the assuredness to try things that had not been done before. In 1950 Maunsell visited Iraq and met Edward Miles Birkett (1925-72), known as Miles, who was working at the time for a consortium of contractors. In 1952 Birkett joined Maunsell, Posford & Pavry and they opened an office in Baghdad, run by Birkett, which handled the firm’s Iraqi projects including three bridges and the new Daura Oil Refinery (1953-5). The state-owned Daura plant in south east Baghdad was designed jointly by Maunsell's firm and Gibb and was built by Foster Wheeler and Kellog, Brown & Root. It was the beginning of an on-off Maunsell, Posford & Pavry presence in Iraq that was to last for rest of the 20th century. Maunsell's engineering reputation by now was sufficiently well established for the Institution of Civil Engineers to invite him to deliver the 1951 James Forrest Lecture on a subject of their choosing. They selected Some Unsolved Problems in Civil Engineering, which Maunsell presented on 24th April. During the early 1950s Maunsell travelled widely, perhaps realising that his skills could be applied wherever they could solve a problem. He visited Bangkok in Thailand, Colombo in Ceylon (now Sri Lanka), Baghdad and Basra in Iraq, Fremantle in Australia and Mandinari in the Gambia. Back in Britain, Maunsell and the firm designed sea drilling towers for the National Coal Board. They were used to determine the extent of undersea coal reserves. The first was built in 1954 at St David's Harbour at Fife in Scotland and was deployed in the Firth of Forth on 22nd May 1955 by main contractor Cleveland Bridge & Engineering Co Ltd. It was redeployed seven times. A second rig was fabricated at Blyth in 1955 and after use was sold to Trinity House, the organization that builds and maintains British lighthouses. Maunsell's character in these post-war years emerges from the various recollections of his staff, who called him 'The Old Man'. His innovations in engineering contrasted with a rather old-fashioned dislike of modern devices such as fountain pens, wristwatches and slide rules. Though physically slight he had a terrible temper, but would make amends for any unjustified outbursts by inviting the person he had embarrassed into his office, giving them coffee and biscuits and a cigar (female engineers were a rarity then) and proceeding to ask about their family life. However, everyone knew trouble was brewing if Maunsell arrived at work wearing a bow tie. Having survived the 1920s with very little money, Maunsell was frugal and staff salaries low. The office furniture was mainly second-hand, and even his loyal secretary Mrs Patterson — with him since 1935 — had to wait until 1950 for a new typewriter. But he was generous too. He paid his staff good annual bonuses and each one received a Stilton cheese at Christmas, and when he returned from trips overseas there were always presents for the women in the office. Meanwhile he was becoming more ill at ease with his partners, preferring the company of the group of accomplished younger engineers who had joined the firm after the war. In 1954 the relationship between Maunsell and Posford deteriorated following a disagreement, and all the partners believed that it was time for their 70 year-old senior partner to retire. So Maunsell, Posford & Pavry was dissolved in October 1955 and two new firms were established. Posford and Pavry set up their own partnership (Posford Pavry & Partners) while Maunsell took a small band of the best engineers from the old company and formed G. Maunsell & Partners. This confident move, especially impressive for a man of his age, was the start of a new era of work using Maunsell's specialist knowledge of reinforced concrete both at home and abroad.